Meet the staff of the Marie Keating Foundation. There are seven staff based in our head office in Lucan as well as a team of eight nurses who are based in communities all over Ireland. These nurses bring to life our mission of ‘making cancer less frightening by enlightening’ and are available to visit schools, workplaces and community centres free of charge in one of our mobile units. Visit the mobile information unit page to learn about booking this service. 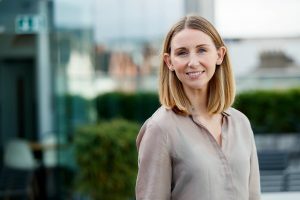 As an international marketing professional and a graduate from DCU, Liz has worked in a variety of marketing, business development and relationship management roles in the financial services and charity sectors. 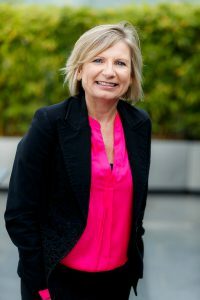 She worked with ABN AMRO Bank in the Netherlands as International Marketing Manager for 7 years followed by 12 years at AIB as a Senior Bank Manager and Department Head in Dublin’s IFSC. In 2008, Liz moved to the not-for-profit sector and joined Concern Worldwide where she led the Corporate & Major Donor Fundraising team for a period of 6 years. 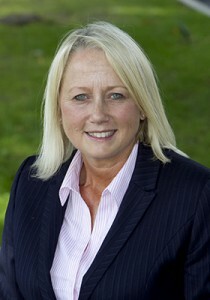 Linda started working with the Marie Keating Foundation from its inception. As Marie Keating’s only daughter, Linda was devastated by her mother’s death at just 51 years of age but decided just days after her passing, alongside her brothers and her father, that they would do something to ensure that other families would not have to go through the same pain. As Director of Fundraising, Linda manages a busy schedule of extensive events and activities to raise critical funds for the Foundation. 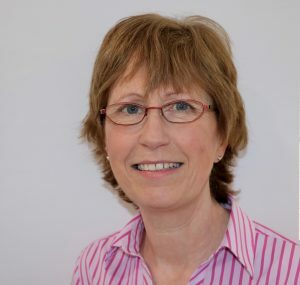 Helen worked for 22 years in London focussing on the area of urology. She joined the Macmillan Cancer Support team, after seeing the need for a more holistic approach to the care of cancer patients. 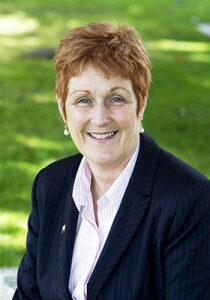 Helen set up two support groups for men with prostate cancer and their families, called Prospect and PHASE. Before returning to Ireland Helen ended her time at Macmillan as Cancer Nurse Director, a post which involved leadership and accountability at a strategic level. After returning to Ireland, Helen worked as a Clinical Nurse Manager, where her role evolved to encompass a patient centred care approach based on the principles of empowerment, dignity, compassion, justice, privacy, confidentiality, choice, advocacy and quality. Since joining the Foundation, initially in 2014, Helen took a year out to go back into clinical practice at the Beacon Hospital in Dublin where she managed a team of oncology nurses in acute oncology end of life care. Jennifer has worked in communications for more than ten years, having originally trained and worked as a journalist before moving into the public relations and marketing sphere. She worked for five years as a broadcast journalist, after qualifying with a degree in History and Politics from UCD and a post graduate qualification from Griffith College Dublin, in Journalism. Jennifer has spent the last seven years living and working in London, where she finished up as a Director at 4media Group, a full-service PR, market research and video agency. Fiona has been the Fundraising Executive at the Marie Keating Foundation almost since it started and has been an integral part of many of the Foundation’s events, appeals and donation drives. A trained chef, Fiona owned and ran two delicatessens in Dublin and also worked in the Fiat Head Office in Dublin before joining the Foundation on an initial six month contract, nearly a decade ago. 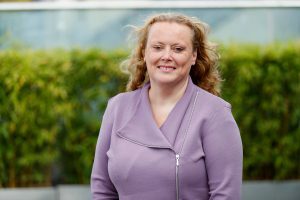 Angela joined the Marie Keating Foundation in 2004, having worked with Hibernian Life, Credit Finance Ltd, James Crean Mars and Sherling & Sons. 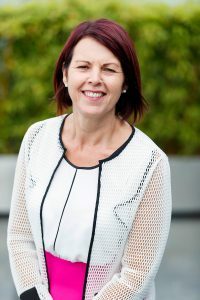 At the Foundation, Angela’s role ensures the efficient operation of the Community Information service countrywide and looks after the bookings for the three Mobile Information Units which visit schools, community centres, workplaces and shopping centres around Ireland throughout the year. Maeve is a registered general nurse and midwife. Her experience includes general nursing, parent-craft education, health screening, respite care, research and oral health promotion. 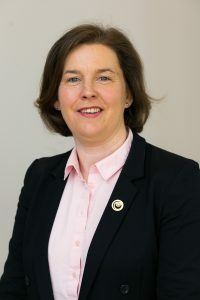 She has a Postgraduate Certificate in Health Protection from University College Cork and a Specialist Certificate in Health Promotion from the National University of Ireland, Galway. Phil trained as General Nurse and Midwife, had has worked in the UK and Ireland in a broad range of areas, including Clinical Tutor, Midwifery, Medical/Surgical/A&E and Geriatric nursing. She has a keen interest in the communality and is a Volunteer Leader with Foróige National Youth Organisation for over ten years and has also served on the National Executive of this organisation for four years, acting as both Honorary Secretary and Honorary Treasure. 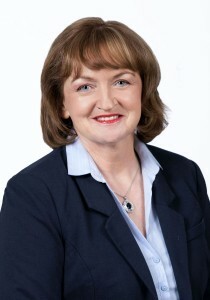 Ursula is a Registered General and Children’s Nurse who also has a Certificate in Counseling Skills from NUI Maynooth. As part of the Marie Keating Foundation’s Nursing Team, she has completed many courses and updates in cancer and health promotion. She has worked in hospitals and the community in a variety of nursing roles including Clinical Nurse Specialist and is a member of the Irish Breast Care Nurses Group. Marie is a registered nurse with a diploma in Oncology Nursing. 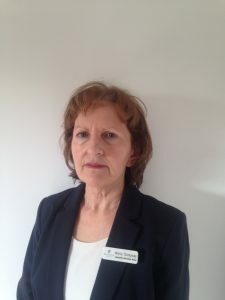 She has many years experience in oncology nursing both in Ireland and the UK and has worked extensively in acute hospitals in Clinical and Managerial roles. She joined the Marie Keating Foundation in 2016 as a Community Information Nurse, working in the Western Region/Unit and has a keen interest in health awareness and promotion. Eileen is a Registered General Nurse and Children’s Nurse with many years’ experience working in the Acute Hospital setting. 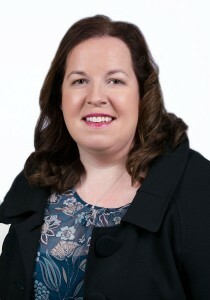 She has a Diploma in Health Services Management from Cork’s College of Commerce and has completed two Train the Trainer course for different programmes. She has delivered many educational programmes to people from a variety of socio economic backgrounds. Eileen joined the Marie Keating Foundation Community Information Nursing Team in the Southern Region in January 2018. 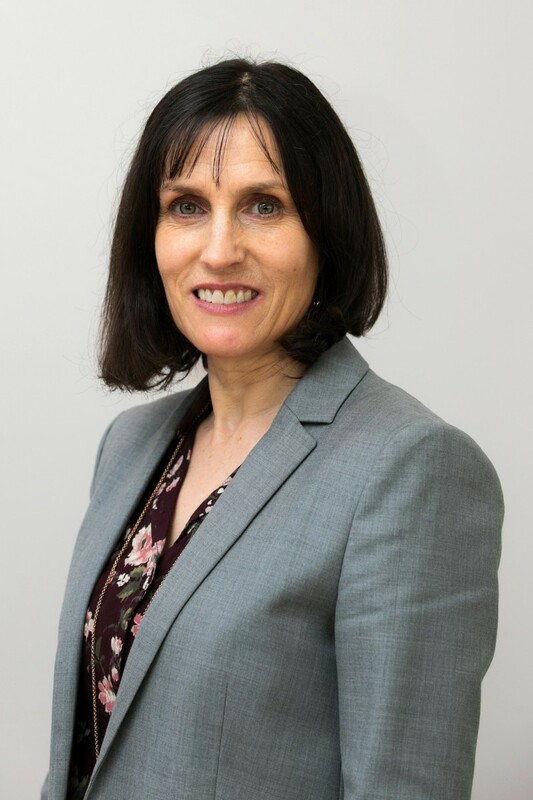 Bernie is an oncology nurse specialist with over 20 years’ experience working in oncology and haematology in tertiary care teaching hospitals in Ireland, UK, Australia and Canada. Bernie took her oncology training in the Royal Marsden in the UK and the Peter MacCallum hospital in Melbourne, Australia. 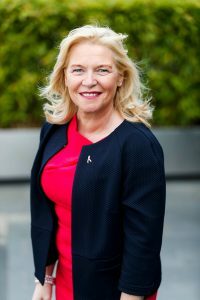 Bernie also has a post graduate diploma and MSc from Trinity College Dublin and her Master thesis was titled – ‘An Assessment of Patient Information in the Field of Breast Cancer in Ireland’. Her thesis culminated with the design of a website for patients with breast cancer. Most recently in her previous role she coordinated a national support programme for patients with advanced Melanoma receiving treatment with immunotherapy. Bernie says, ‘I just recently joined the Marie Keating Foundation and I am delighted to be a part of this wonderful meaningful organisation which helps create awareness of the different types of cancer with a view of prevention and early detection and hence better outcomes over all. I really feel that education is the key to a decrease in the incidences of all types of cancer and I am looking forward to helping the foundation spread the word in the various different settings that I will be working in. I feel that it is important to demystify cancer, to inform the community that treatments are now very advanced and new treatments are coming on the market all the time and thus outcomes are much more positive especially if detected early’. Our part-time drivers also play an important role in the delivery of our community outreach, helping to bring our mobile information units around the country.